This video explores the principles of accounting in a business setting. 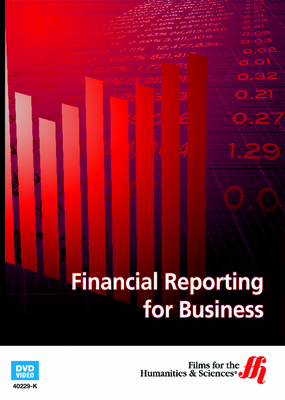 This film gives information about the use of accounting reports to find out the financial status of a company. It starts by explaining the fundamentals of using bookkeeping reports and how computerized programs can help take care of all financial records to give in depth reports. Learn about how cash flow statements give an accurate reading of where cash is spent within the company and how profit and loss reports can be made to show where there needs to be improvement. Real financial managers and accountants are interviewed to teach how these reports will give a company a view of where problems are located within the financial aspect. They tell how the information is used for planning and decision making about the future of the company.